EuroGOOS identifies priorities, enhances cooperation and promotes the benefits of operational oceanography to ensure sustained observations are made in Europe’s seas underpinning a suite of fit-for-purpose products and services for marine and maritime end-users. EuroGOOS is the European component of the Global Ocean Observing System of the Intergovernmental Oceanographic Commission of UNESCO (IOC GOOS). EuroGOOS Secretariat is located in Brussels, serving 42 members and supporting five regional systems in Europe. 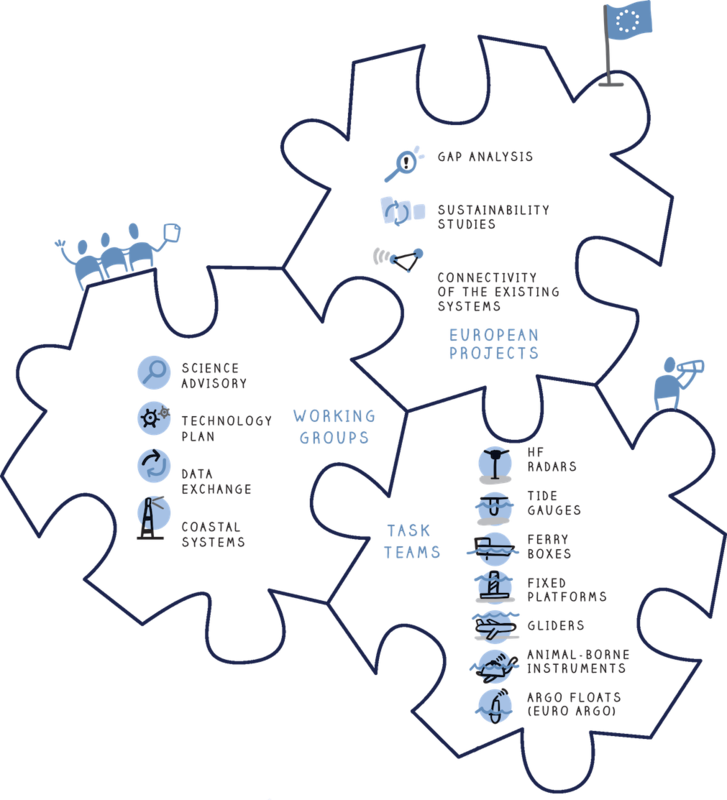 EuroGOOS working groups, networks of observing platforms (task teams), and regional systems (ROOS), provide fora for cooperation, unlock quality marine data and deliver common strategies, priorities and standards. These many EuroGOOS networks work towards integrated, sustained and fit-for-purpose European ocean observing, underpinning the EOOS framework.